Sifu Nelson Chan 陳就祥師傅 (Shifu Chen Jiuxiang 成就吉祥 achieve prosperous): Founder of Christian Wushu Fellowship(神武Godly Martial Art), and an evangelical Christian. 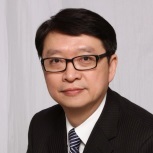 He is the Vice President of the Canadian Chinese KuoShu Federation, the Communications Official of the Canadian Martial Arts Games Committee (CMGC) and is actively involved in promoting Chinese martial arts in Canada . Sifu Chan was taught the Chinese Martial Art of Wing Chun 詠春拳 by Sifu Moy Yat 梅逸師父, who is a direct student of Grand Master Yip Man 葉問師公. Sifu Chan 陳師傅has been teaching Wing Chun since 1972 in Canada. Sifu Chan is also the Marketing Director of the Yat San Chinese School 日新中文學校 (www.yatsan.org/). Shifu Ting Seng Hung 洪鼎生師傅: Student of the famous Sifu Meng Lai Sing 萬籟聲師傅 and Sifu Ging Cheong Boa 金祥宝師傅of China. 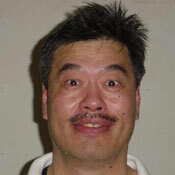 He was the Gold Medalist of the 1998 U.S. National Kung Fu competition. 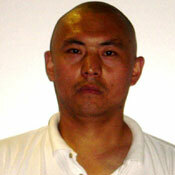 Sifu Hung specializes in Six Harmony 六合門 and North Shaolin styles 北少林. Sifu Hung was featured on the cover of Classical Fighting Arts Magazine #1. Sifu John Lee 李仲安師傅: President of the Wing Kwong Push Hand Association 榮光推手學會 and the founder of CTF (Canadian Taichi Federation) 加拿大太極總會. Sifu Lee was the 1996 Silver Medalist of the World Heavy Weight Push Hand competition which was held in Taiwan. Sifu Lee specializes in Wu's Tai Chi (Taiji) 吳式太極拳 and push hands. Sifu Francis Leung 梁樹仁師傅: A retired Taiji Master from Hong Kong. Sifu Leung specializes in Tai Chi (Taiji) and Kung fu Fan. This Master is actively promoting good health practices to seniors in our community, both in Hongkong & Canada. 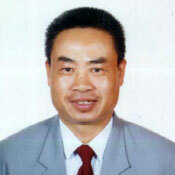 Shifu Richard Luo 羅榮富師傅, Ph.D, P.Eng: Certified Chinese National Wushu/Kungfu Judge, former member of Sichuan Provincial Wushu Team四川省武術隊, Shanghai Jiaotong University Wushu Team上海交通大學武術隊, and East China University of Science and Technology Wushu Team華東理工大學武術隊, has won numerous championships in both international and Chinese national competitions in the areas of Sanshou散手, Wrestling摔跤, and Forms套路, specializes in: Contemporary Wushu新武術, Taiji太極, Ba-ji八極, Fan-zi翻子, Xing-yi形意, Ba-Guan-Zhang八卦掌, and Shaolin少林. 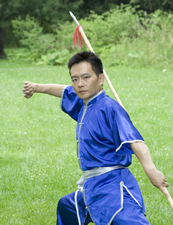 Shifu Luo is the head instructor at the CWF Mississauga Branch. 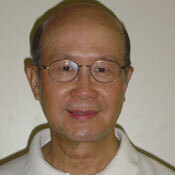 Sifu Chuck O'Neill (Chan Cheuk Yiu 陳卓耀師傅): is a CanFit Pro Certified Personal Trainer and Wing Chun Sifu. Over his 14+ years of experience in martial arts he has had formal martial arts training in Judo, Tae Kwon Do, Kosho Ryu Kenpo Karate and is a former Certified Jeet Kune Do Instructor. He also has had training in elements of Western Boxing, grappling, Tai Chi, and Wushu. Chuck has been training Wing Chun under the guidance of Master Chan since 1999 and is now a senior student and instructor in Wing Chun at Christian Wushu Fellowship. In 2004, he received a silver medal in the CCKSF 'Close Range Sparring' men’s division. In September 2006, with Sifu Nelson Chan's encouragement, Chuck started teaching Ving Tsun in the GTA and Kitchener/Waterloo area and was certified as a Wing Chun Sifu under Sifu Nelson Chan. 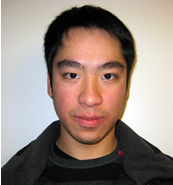 Sifu Enoch Chan: Enoch Chan was born and raised in Toronto, Canada and was introduced to Chinese martial arts at an early age. He was first introduced to Chinese martial arts by his father, Ving Tsun (Wing Chun) Master Sifu Nelson Chan ( www.iWingchun.ca), (Yip Man - Moy Yat Lineage). At the age of six, Enoch began training in the Six Harmony and Northern Shaolin styles of kung fu under Shifu Hung Ting-Seng, who was a student of renowned masters - Shifu Meng Lai Sing and Shifu Ging Cheong Boa of China. Hong Kong Overseas Bible Seminary Graduate, 1985. Master of Divinity, Ontario Theological Seminary, 1996. Served as pastor of several churches in Hong Kong. Served in Evangelism Explosion (H.K. ), Scripture Union of Hong Kong, Christian Communications International (H.K.). 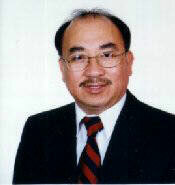 Served as part time pastor of Markham Chinese Presbyterian Church and Toronto Jaffary Alliance Church.